Dr. Rosales is committed to her professional career by providing you with honest to goodness dental care you can rely on. She gives more time in listening to your concerns and recommends the best personalized treatment plan according to your needs and budget. 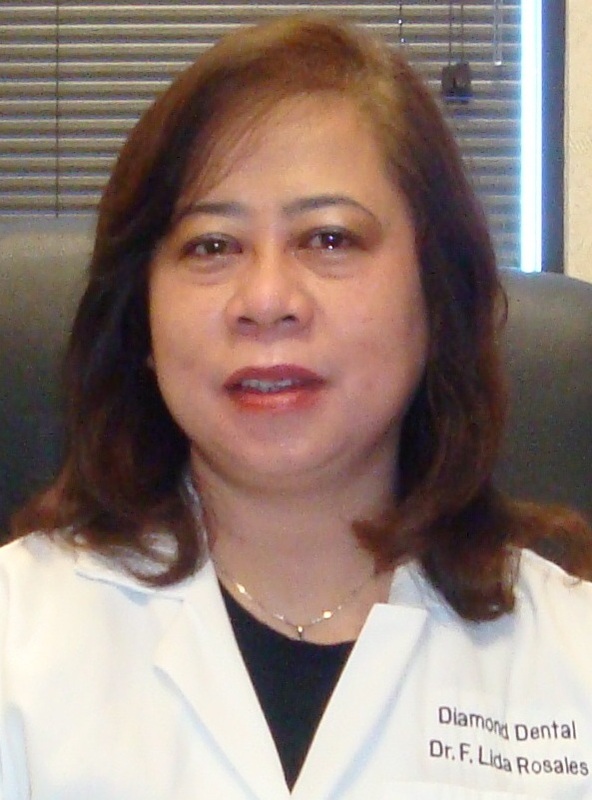 The practice of Dr. Rosales opened in 2010 where she quickly gained the trust and confidence of patients in and around this beautiful Salinas Valley Community. Dr. Rosales regularly attends Conferences, Seminars and Dental Conventions ( California and American Dental Conventions ) because she loves to discover new techniques and technology. Throughout the years, she has constantly been updating the practice with the latest equipment and materials to offer better treatment options for every patient. The entire Diamond Dental team is looking forward to welcoming you into a safe, pleasant and comfortable environment.